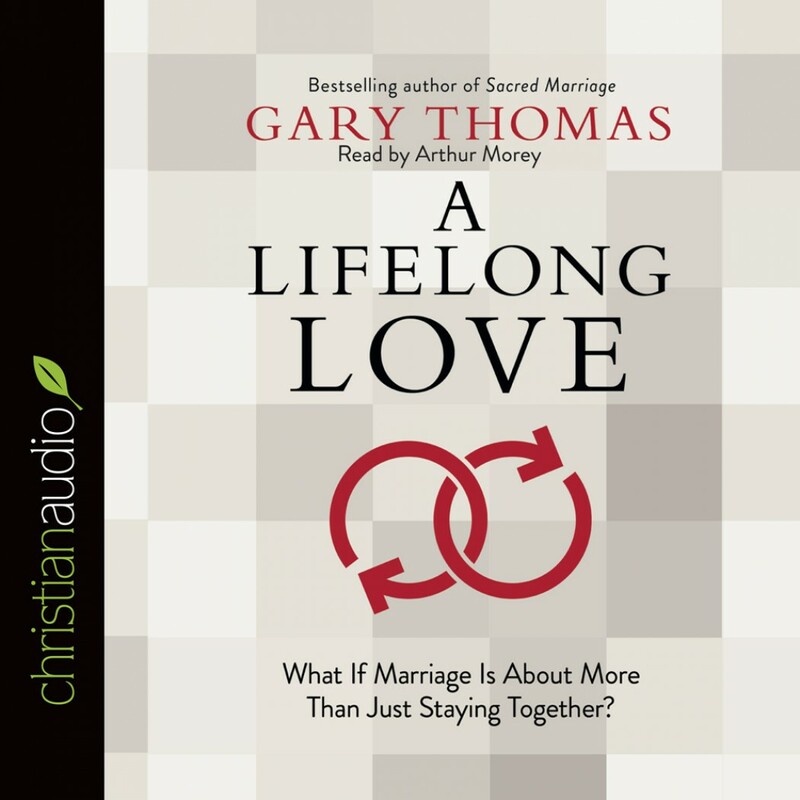 A Lifelong Love by Gary Thomas Audiobook Download - Christian audiobooks. Try us free. I have read marriage books before but none like this one. It had fresh and really good material. It was great for my marriage but also in the way I look at others. If we really realized that everyone is a child of God and that he really does love them even if they are acting up we could have more compassion for them. I am nicer to those who treat my children nice. And you don't want to be around me if you hurt my child. To imagine that God feels the same way about my husband, my parents, and everyone I come into contact with has challenged me to treat others better because God does have their backs. I couldn’t be more single but I hope to be married one day. This book helped to drive home the meaning of true love. And not just defining it but showing what it looks like day-to-day over the long haul. Love is a choice. Like marriage, once we decide we’re on, we have to keep choosing to continue everyday— no matter what. Love loves because. Period. Great analogies, deep thougths. Especially his recommendation to think about God not only as father but as father-in-law was very helpful. This is an excellent book. Couples of all ages should read or listen to it. A great resource for anyone who is married or planning on it in the future. This book gave me a whole new way to look at marriage. More accurately, it gave me God's way to look at marriage. "A Lifelong Love" is a very refreshing book for anyone who wants to know how to love their spouse with purpose under God. God's purpose is more than fairy tales. It is more beautiful and more fulfilling then anything ever seen on screen. If you are serious about having a purposeful marriage filled with love, you MUST get this book/audio. I have been so blessed and challenged by this book. No cliches, pat answers or “fix it quick” solutions....real, lasting solutions based on scripture. Lots of good advice and ways to see your spouse in a new way! I hope we can all love the way Christ loves us and ask God to help us be the better version of us everyday!